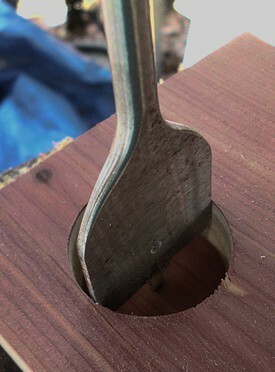 A spade drill bit is used for rough boring in wood. The Pro Series range spade drill bits are equipped with spurs to achieve a faster and cleaner cut compared to standard spade drill bits. Manufactured from High carbon steel. Spade bits are also known as paddle bits or butterfly bits. TIP:To avoid splintering, drill the workpiece from both ends.